Head to Riverfeast this Winterfeast for a night of Chilli and Lime, brought to you by locals Greg and Karen who have create a successful small business which is going from strength to strength. Take giving a speech to 10,000 strangers, now times it by 100 and that's how nervous Karen was on opening night. Picture 3000 hungry visitors scouring the property for the best seat to take in the view of the Burnett River and Karen, tears of pride streaming down her face as she tried to find any available seat for her mother. 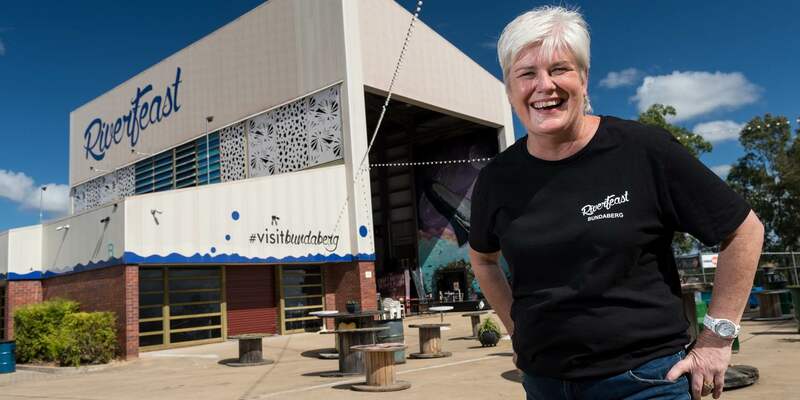 Never in a million years did the couple imagine owning a craft beer and food alfresco dining venue, but here they were, hours upon hours of hard work, a pile of conquered red tape and the future of alfresco dining in Bundaberg. Riverfeast's success can be attributed to Greg and Karen's confidence in the project. They broke down the walls, jumped through the hoops and tore down the red tape, but they did not do it alone. One of the most important lessons learnt on this journey was to not be afraid to ask for help. Networking and good communication skills are so beneficial to turning your dream into a reality. Conquering the fear of the unknown and having faith in yourself. Believing in your dream. Anything is possible if you ask the right questions and introduce yourself to the right people. Head to Riverfeast this Winterfeast for a night of Chilli and Lime, and experience Greg and Karen's dream in action!